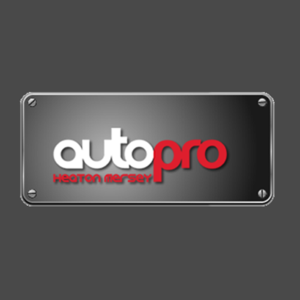 We at Autopro UK Ltd, located in Stockport, take pride to give our customers the very best service and quality possible at an affordable price. With all our staff undergoing continuous training we specialise in MOT, Servicing, Repairs, Diagnostics, Brakes, Exhausts. Tyres and 3D wheel alignment. In addition all our staffs use the latest in tool technology including Snap On Hand Tools, BOSCH Diagnostics, John Bean, Hoffmann and many other high quality tools required for particular workmanship. Our management staffs are friendly and polite and will discuss any issues you have with your vehicle. They will keep you informed on what your vehicle needs, give you an estimated quotation and keep you up to date on the repairs. We also provide a written quote if requested.The teams drive to succeed is the ultimatum . We welcome all motorists and service all makes and models. All parts fitted or used are of O.E SPEC, which covers Block Exemptions; therefore warranties are not affected. To ensure your car is safe and roadworthy over the winter, have it inspected and serviced at Autopro. Preparing your car will maximise your chance of arriving safely and avoiding unnecessary weather issues such as Cooling System, Batteries, Wheels and dealing with the wet and wintry weather including the unpredictable snow! So, reduce time framing matters and avoid getting caught out with car troubles by using Autopro. We're just a phone call away, plus a courtesy car can be provided for clients within a 3 mile radius if booked in advance.